Happy Fall Y'all! 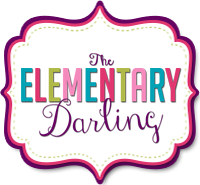 It's Erin from The Elementary Darling! 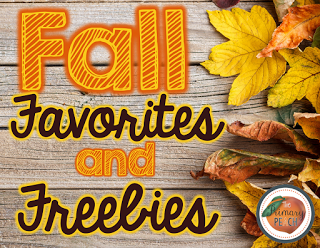 This month we are sharing our Fall favorites and a Freebie every day! I LOVE these books. Fall is a great time for books, and these are a few of my favorites. I am lucky enough to be a 1:1 iPad classroom and these are some of the apps we will use this fall! Below I will give you some examples of how you can use these great FREE apps! Popplet- Popplet is a great app and it has so many uses. The students could create popplets on fall words or books. They could identify the main idea and details or story elements of the fabulous stories above. Book Creator Free- This would be great for a fall themed book or to review a book that you read to the students. Kidspiration Lite- Kidspiration is great for organizers of many kinds! There are cute pumpkin pictures that you could use to make a venn diagrams, charts, or word webs. Alphabet Organizer- Alphabet organizer is great for so many reasons! I have used it for nouns and proper nouns. The students put a word that starts with each letter of the alphabet in the spaces. This would be cute to create an alphabet activity on fall words! Theme Poem- In the theme poem app, there is a leaf that the students can write a poem about. It is very user friendly. The students just type their words, and it publishes the poem on the leaf. Epic- Epic is a great place for the kids to read different books. You can look up books by a title or just search what they have. There are many fall books that your students can read. Now it is time for your FREEBIE! We are working on graphing this week and I love this Fall Favorites Graph! Click here to grab it for free or click on the picture. Happy Fall Friends!